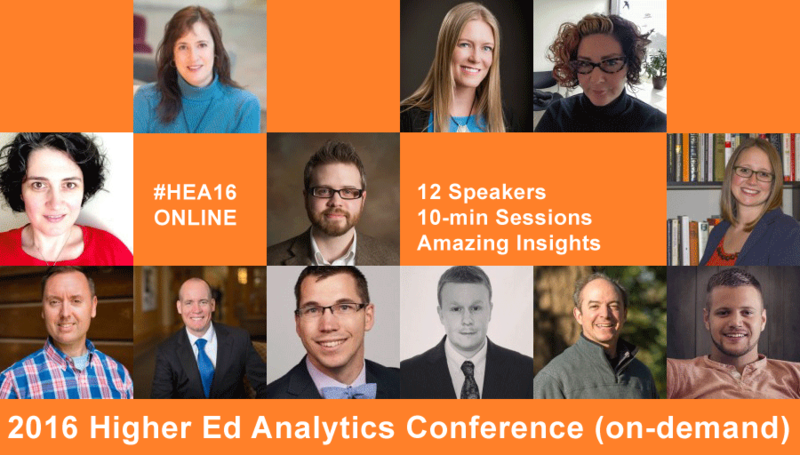 Jens Larson, Manager of Student Communication Strategies at the Eastern Washington University, is one of the 12 higher ed professionals presenting at the 2016 Higher Ed Analytics Conference. 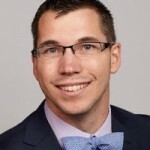 In this 3-question interview, Jens tells us about the biggest surprise of 2015, the main challenge using digital analytics and what colleges and universities should focus on in terms of analytics in 2016. The first surprising moment came I realized that most institutions—even most really good institutions—don’t have a well-coordinated email analytics strategy. I’ve read over 2,500 emails from 300 institutions this year, and our performance as an industry is shockingly bad. The second moment is more positive: good emails remain relevant for a really long time. Recipients seem to treat them as microsites, especially if the email collects relevant information in an action-oriented, mobile-friendly way. You can probably think of several emails you’ve received that are helpful in this way. 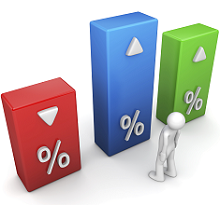 Digital analytics really highlight how non-promotional and non-transactional email content can transform engagement. The biggest challenge is a recurring one: helping non-analytics users understand why analytics are important. If we’re doing good analysis, this will take care of itself rather quickly because our insights will be useful. Of course, once we get consensus on importance, then we’ve got to help people ask the right questions, and that’s really hard, it turns out. A lot of times, campus partners will ask for raw data, or they’ll ask for analysis without clear goals, or they’ll ask for something that’s not going to help them improve their outcomes. In those cases, we really have to own the fact that we’re good at our jobs, and we need to say, “No. We can’t do that.” We don’t help anyone when we deliver raw data, even if we deliver exactly what was asked for. Instead we can reframe questions and goals, provide the analysis, and send concrete and actionable recommendations. It saves time and keeps discussions moving in the right direction. This is the only time I’ll probably ever use a Nancy Reagan analogy in my life, but when it comes to context-free digital analysis, we need to be a lot like the former First Lady: just say no. The right answer is probably data quality and data talent: getting accurate info and good people to analyze it. But unless we have lots of money or lots of authority—and digital analysts usually don’t—there’s only so much we can do in this area. Perhaps a more focused goal is to do less reporting on the past and instead do more forecasting and influencing of the future. We tend to get caught up with “what happened” instead of “what we predict will happen.” Making a shift to forecasting and prediction analysis will require an upgrade to our statistics and coding skills (and we’ll all have to get comfortable thinking probabilistically), but that’s the direction analytics is heading, and we need to head that way, too.